Well looky here. Just last week, this was a pile of fabric. Now it is a dress. I am sure it is very pleased with its transformation. 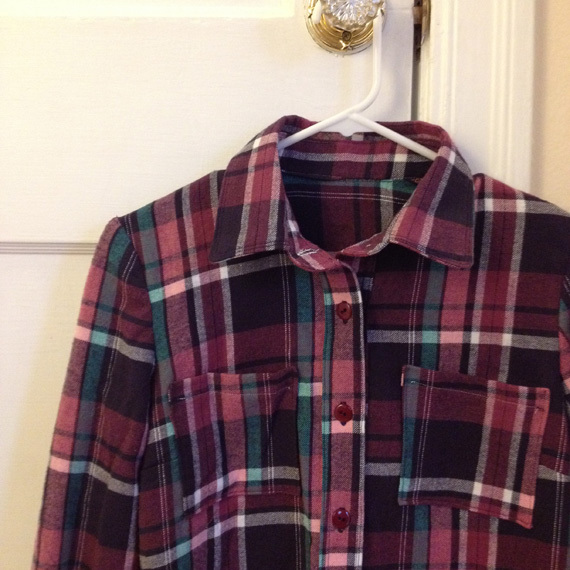 I haven’t tried it on yet, but it looks pretty good on the hanger. 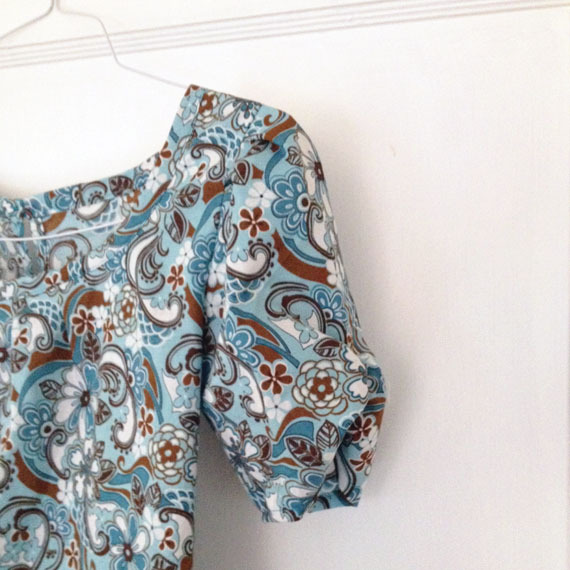 It has some elastic on the sleeves and on the back at the waist to add some shape. 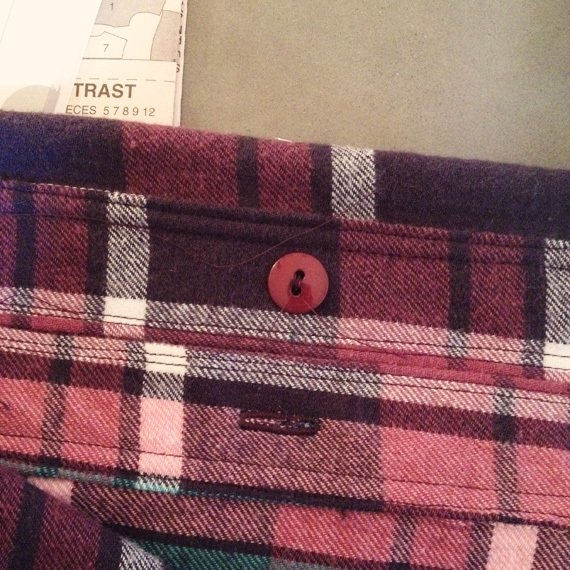 I had this cool gold button picked out, but I accidentally made the button loop too small. Good thing I had a back-up button ready. 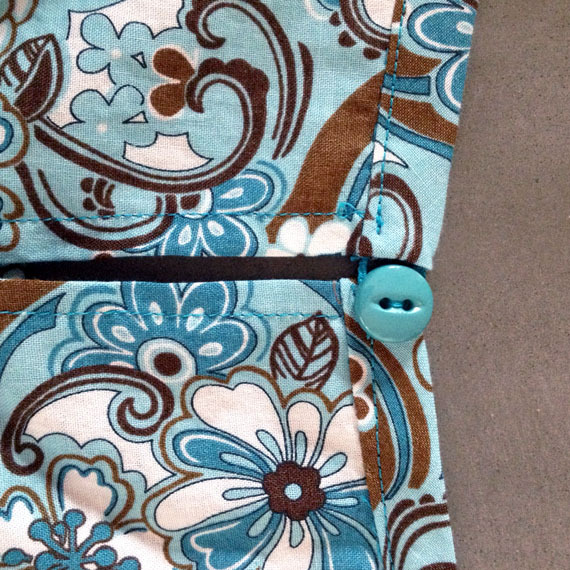 I hand stitched the hem up. It actually didn’t take as long as I thought it would, and made me feel like I was living in a little house on a prairie. 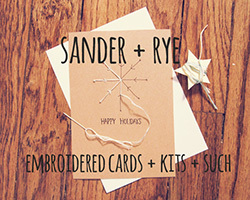 I’m already on the hunt for my next pattern, so let me know if you see anything awesome! 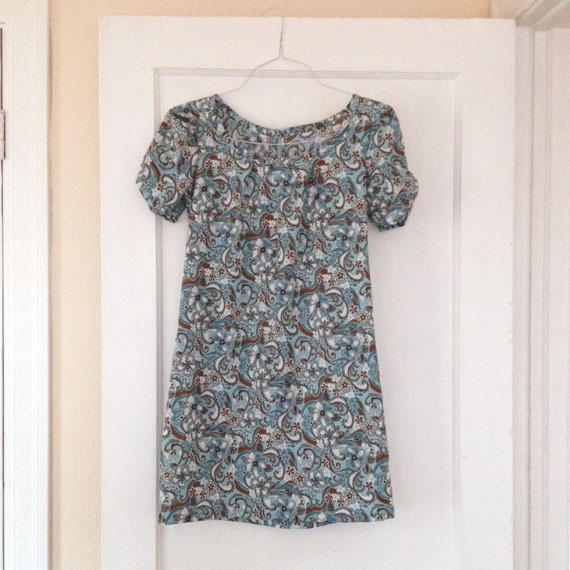 This entry was posted in Make and tagged clothes, diy, dress, fashion, handmade, handmade clothes, homemade, sew on February 25, 2014 by Chelsea. And we have a final product! And it actually looks like a shirt, and is completely wearable in public, so that is a huge plus. Its not quite perfect, but I think its a pretty solid first attempt. I also feel as if I have uncovered one of the world’s great secrets. Everybody is wearing clothes, but not everybody knows how they are made. I can join that secret club now. Its fun to look back through the pictures and remember all the “firsts.” Also, all the calls and texts to my ma asking her if it was looking right. Sometimes I just had to remind myself to go step-by-step, and it would magically become whatever it was supposed to be. The continuous lap part. Thank goodness for youtube. 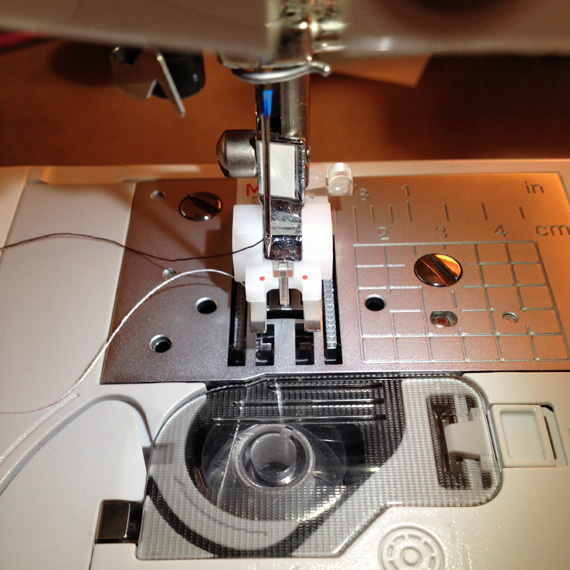 I’ve made buttonholes before, but I’ve never sewn on a button with the machine. The button foot is a little scary looking, but we made friends. I’m excited to make another one! 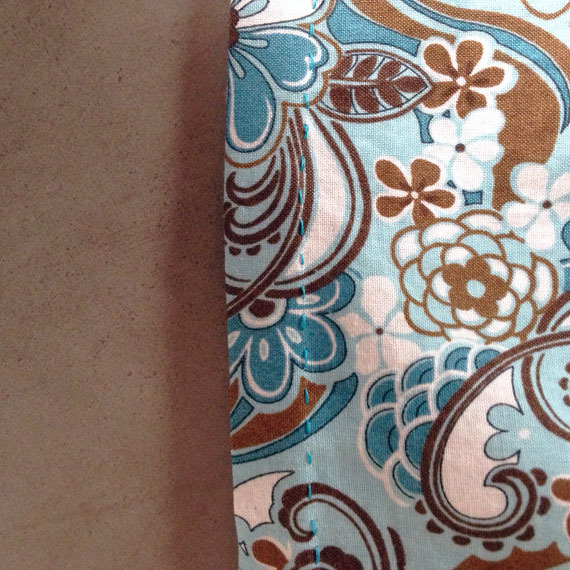 Maybe some spring fabric? 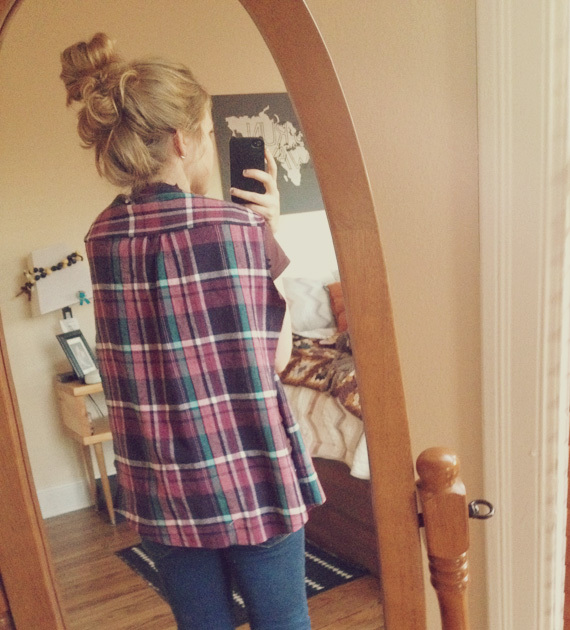 Of course, now that my flannel shirt is done, the weather has decided to warm up a bit here. 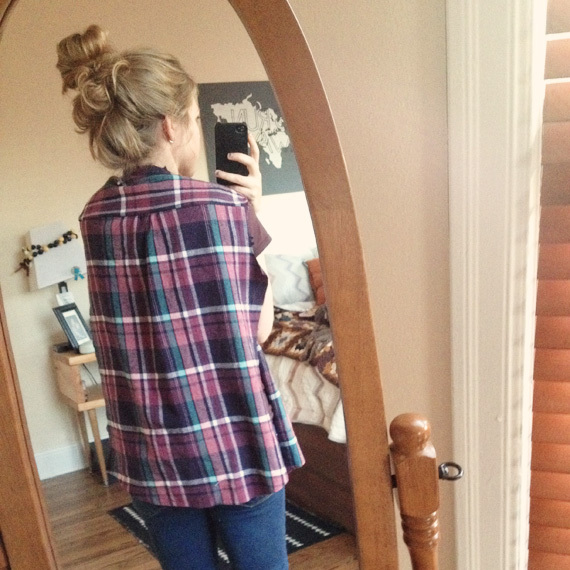 This entry was posted in Make and tagged button up, clothes, diy, flannel, flannel shirt, handmade, handmade clothes, plaid, sew, shirt on February 13, 2014 by Chelsea. 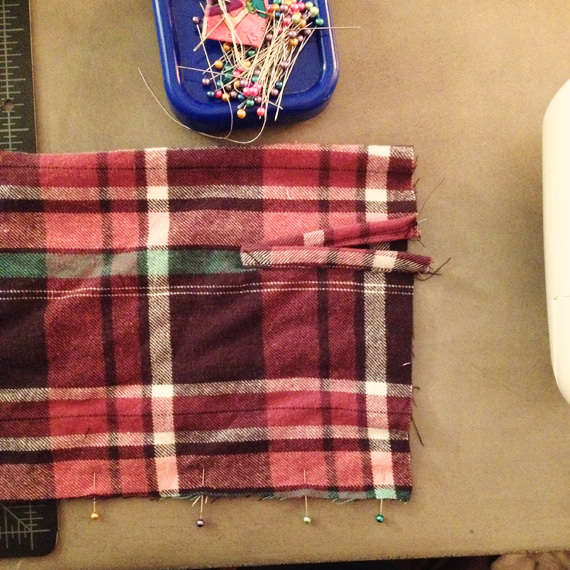 I am sewing my first shirt! 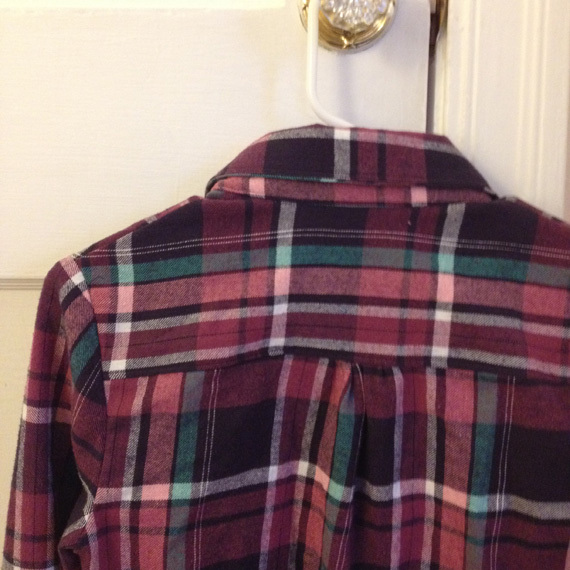 It is a button-up shirt, with a yoke, and sleeves, and everything. 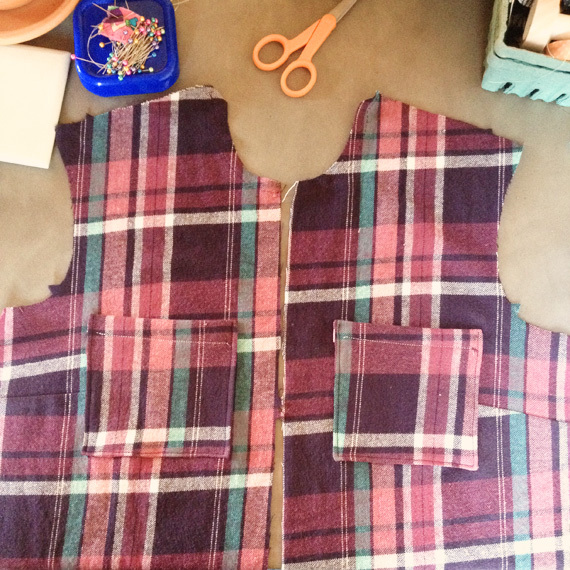 I love the idea of sewing some of my own clothes, so I am pumped to start practicing! 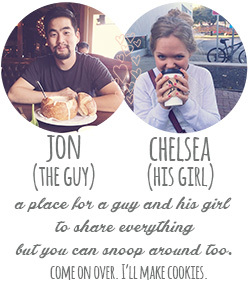 I am instagramming some of the different stages, if you want to follow along. I got my fingers crossed that it will actually fit once I am finished! 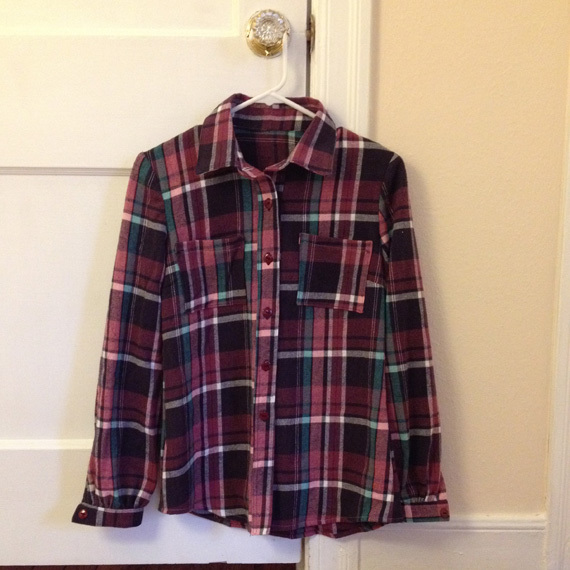 This entry was posted in Make and tagged button up, clothes, flannel, handmade, handmade clothes, plaid, sew, shirt on January 21, 2014 by Chelsea.